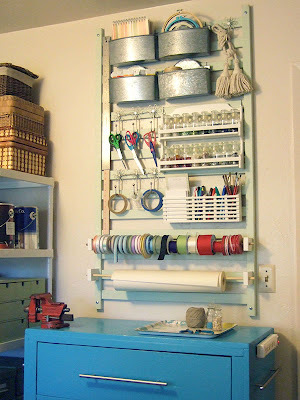 Is it bad that I'm drooling over this nifty organizer thing over at the craftynest blog? So, so, very cool. I would love to have the imagination to concoct stuff out of random pieces of junk. you need to come over to Ballard and head on into the ReStore we have here. You would love it Sonja! You are so right. I can't believe I haven't made it over there, it sounds like a creative heaven.